Last year at this time I was being terrorized by a big snake that was hiding out under our front walkway. I seriously didn't use the front walkway for weeks. 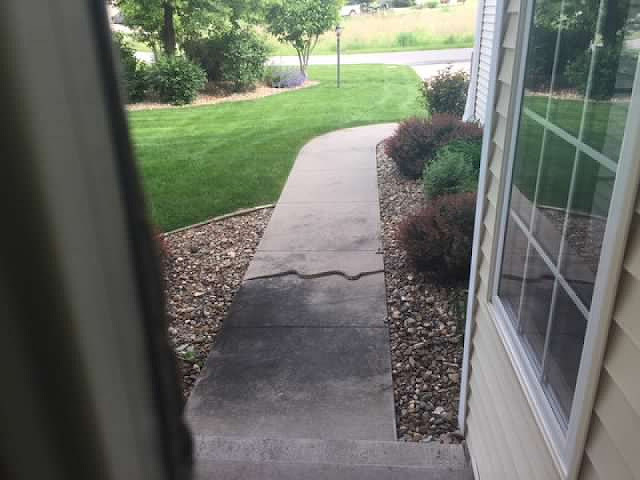 We had problems with snakes at our house in Connecticut (it was an older house out in the woods) and I was so glad when we moved to Iowa that we were leaving them behind. We got through almost six years without a snake incident here, and then when it did finally happen it turned out to be quite the incident! I was going to call animal-control to relocate it, but after a couple of weeks, ::Hallelujah! :: it disappeared. I think it must have realized that this wasn't a safe place with Boo Boo around, who is an avid and skilled hunter. There were a couple of smaller snakes hanging out with it that Boo Boo killed (also horrifying), so I assume that's why it left. Thank you Boo Boo! I've been keeping an eye out for it the last few weeks, and it hasn't made a reappearance. I hope it's far, far away...or dead! We saw other live snakes last summer too, but thankfully these ones were captive at the zoo. But not these ones. Snake-loving Sam had no hesitation whatsoever to hold these monsters. He's so brave and crazy! He was thrilled! You couldn't pay me to do that. Sam obviously loves snakes, both real and fake. They were really his thing last year in kindergarten, and by last summer he had accumulated quite the collection (of fake snakes, thank goodness). At the Cape he found a rare two-headed stuffed-animal snake that he was so happy to get. Here's to a summer of '17 of far fewer snakes. Except for the zoo, so far, so good!